Top Driven Piles are particularly suited to either difficult driving conditions with fill and obstructions, or contaminated sites, as it’s a displacement piling method and won’t produce any spoil. 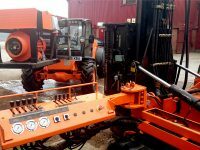 For installing top driven piles. 200mm² pre-cast concrete and 140mm thickwall steel piles. Top Driven Piles are installed by driving a precast concrete or thick walled steel pile tube into the ground with hydraulic drop hammer mounted to a tracked top drive rig. Once the pile section is driven another one is connected using a pile collar for thick walled steel, or link for precast concrete piles. Sections are driven until the required depth is reached. It’s 4 cylinder Hatz Silentpack air cooled diesel engine keeps the noise and environmental impact to a minimum. However we can supply an alternative powerpack option, a 3 phase electric powerpack ideal for internal installations within pollution sensitive areas. The adjustable mast height gives flexibility enabling the use of 2, 3 and 4 meter pile sections, a further advantage when sourcing materials. The TH1500 is a powerful, compact and agile rig ideal for restricted access and clean air sites. It’s ease of use, flexibility and range of options make it an extremely popular machine amoungst our clients. 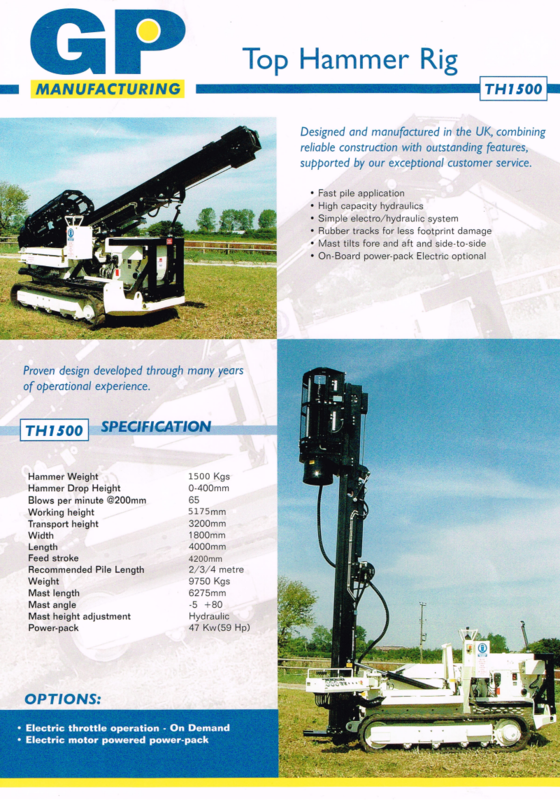 We can supply the TH1500 Top Hammer Piling Rig and any required accessories at extremely competitive hire rates throughout the UK.